As the GBTA Foundation continues its mission to provide world-class educational programming and leading industry insights to the business travel profession, we thought you would be interested in learning more about the Foundation’s work over the past year through the 2016 GBTA Foundation Achievement Report. This report highlights the remarkable achievements of the Foundation, and how contributions made by GBTA Foundation partners have impacted the business travel industry. 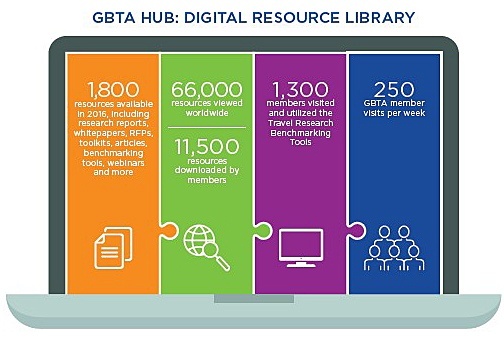 The GBTA Foundation Board and staff remain committed to providing education, resources, and research that deliver value and drives positive change. We are thankful to the many industry leaders who have invested to meet the increasing global needs of business travel professionals and encourage you to join us in this quest. Hotel Technology Study: How Do North America-based Business Travelers Use and Feel about Hotel Technology?